Traditional economists like to see the world in their own image. They believe that we all make rational choices when it comes to spending, investing, saving and the myriad of other economic decisions we make. In the early ’70s, a group of renegade economists and psychologists had an inkling that this view wasn’t quite correct. They set about proving that humans often don’t act rationally when it comes to their money. They convincingly argued their case through laboratory controlled tests and peer-reviewed papers. Richard Thaler, the respected behavioural economist and co-author of the trailblazing book Nudge: Improving Decisions about Health, Wealth and Happiness, was at the forefront of this movement. Thaler swam against the tide of intellectual orthodoxy and had the courage to face ridicule by challenging it. 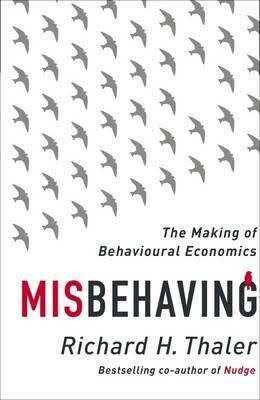 Misbehaving: The Making of Behavioural Economicsis a memoir that follows the history of behavioural economics from someone who was there. The book is fascinating for the light it shines on the rigid and arrogant thinking of the 70s academic elite. Traditional economists were often dismissive of behavioural economists and their research. Informative and entertaining, this book surprises and amazes with its revelations on how we, as people, misbehave with money. Chris Saliba is co-owner of North Melbourne Books and a regular contributor to the News. North Melbourne Books is located at 546 Queensberry Street.